How Do You Know If You Have Irritable Bowel Syndrome? Home » Blog » Uncategorized » How Do You Know If You Have Irritable Bowel Syndrome? Cramps in your stomach? Diarrhea and/or constipation? Gas or bloating? Sudden, urgent needs to use the bathroom? 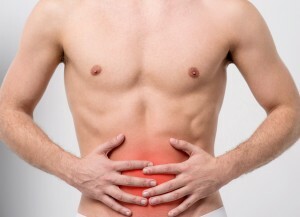 How do you know if you have irritable bowel syndrome or other digestive issues? If these sound familiar, you might be suffering from irritable bowel syndrome or IBS. IBS is a collection of chronic gastrointestinal symptoms. It’s very common—about 10% of Americans experience IBS during their lifetimes—but is frequently misdiagnosed because symptoms and triggers vary broadly. See more IBS facts here. Unfortunately, this means many patients can see doctor after doctor, “have tried everything,” and still live with symptoms. Cramps can strike suddenly and without warning. Sometimes they can last multiple days, making it almost impossible to do anything but lie in bed and occasionally dash to the bathroom. Unfortunately, these pains are extremely common symptoms of IBS. Another common symptom of IBS, struggling with diarrhea can make it feel like you’re living your whole life racing to the bathroom. Some find that certain foods trigger diarrhea—but many more people struggle with a completely unpredictable, stressful bowel. On the other end of the spectrum, constipation can be just as frustrating. In the ultimate irony, many people struggle with both diarrhea and constipation—switching from one to the other, and rarely experiencing a moment of relaxation and peace. Another common symptom is feeling bloated and sick for no discernible reason, and being unable to successfully release the pressure. If you feel sick after eating, for seemingly no reason, you know how terrible it feels. Unfortunately, far too many people have walked away from nice family meals feeling awful. This common IBS symptom is one of the most public and most excruciating. How do you know if you have irritable bowel syndrome or other digestive issues? If you’re one of millions of people experiencing these symptoms, you may have IBS. Fortunately, our team of experts has helped thousands of people cure their IBS for good. We’ll help you get out of the bathroom and back to your life. The IBS Treatment Center has the highest success rate for curing IBS (Irritable Bowel Syndrome) of any medical facility in the United States. With clinics in Seattle and Los Angeles, we help patients around the world get the answers they’ve been looking for. Schedule your appointment online or call the IBS Treatment Center today at 888.546.6243 to find out how you can cure your IBS symptoms for good! « Is Exercise Safe When You Have IBS?